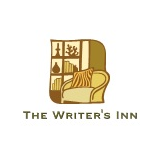 The Writer's Inn is an online venue for readers and writers of all genres. In Pursuit of Joy takes readers on a journey through may emontions. Melissa Joy Anderson brings to light love, despair, happiness, pain, lonliness, and everything in between. Readers will bond with Melissa Joy Anderson through her writing as they travel with her In Pursuit of Joy. In Pursuit of Joy is a compilation of poems that showcase the makings of me throughout the last nine years of my life. We are all human and we all go through trials and tribulations to get somewhere and I wrote these poems to show that to readers.